Jack M. Fatta, Jr., 79, of Indiana, PA, passed away Monday, December 17, 2018, at his residence. He was born November 4, 1939 in Wilkinsburg, PA, the son of Jack M. Fatta, Sr. and Nellie (Alvaro) Fatta. 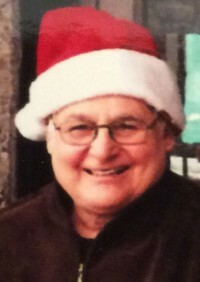 Jack graduated from Penn Hills High School in 1957 and from 1963 to 1976, lived in California and worked as a machinist for McDonald Douglas for 12 years. In 1976, Jack and his family returned to the Indiana area. He worked as a truck driver for Taylor Services for 20 years, retiring in 2004. Jack was a member of Hilltop Baptist Church in Indiana and loved playing with his granddaughters. He enjoyed watching and playing golf, and even made his own golf clubs. Jack also liked watching football and going for car rides. He loved the beach and looked forward to special family trips to the Outer Banks. Jack will be remembered for his compassionate spirit and for always having a smile on his face. His memory will be cherished by his wife, Carolyn M. (Besh) Fatta, whom he married September 3, 1958; sons, Joe A. Fatta and wife, Rosaria, of the Florida Keys, David M. Fatta, of Jacksonville, TX, and Scott A. Fatta and wife, Crystal, of Whitesburg, PA; grandchildren, Jessica, Brooke and Gianna Fatta; brothers, Joseph Fatta and wife, Franny, of California, and James Fatta and wife, Andrea, of Murrysville; and Joe, Brad and many helpful neighbors. The family will receive friends from 1 PM until the time of the memorial service at 4 PM on Saturday, December 22, 2018, at Clark Chapel of the Bauer Funeral Home, Inc., 238 S. Main St., Elderton, PA, with Pastor Jack Lucas officiating.